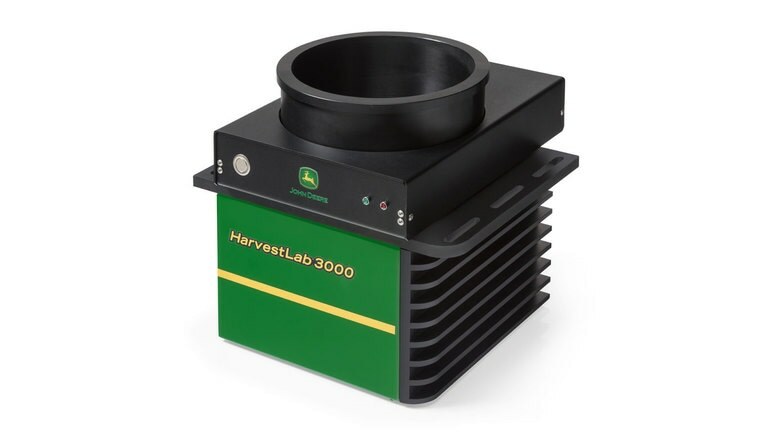 The HarvestLab 3000 sensor enables an accurate measurement and documentation of dry matter, starch, protein, neutral detergent fiber, and acid detergent fiber in different crop types. For better fertilization planning in the next season, operators can use the HarvestLab 3000 sensor to determine and document the nutrient values taken off the field during harvest. It also helps achieve higher quality forage by enabling automatic length-of-cut adjustments on the go to ensure an optimal bunker compaction and conservation. In addition, the smart use of additives ultimately leads to higher milk yields and more efficient use of feed. The HarvestLab 3000 sensor and stationary kit can provide time and cost savings with use in the barn, field office, or anywhere feed analysis is needed. For example, the components of a total mix ratio (TMR) can be measured every day to ensure the correct mix ration and achieve the maximum milk yield. Measured data can also be downloaded from the HarvestLab 3000 sensor and saved to a computer for record-keeping purposes or to share with a nutritionist. 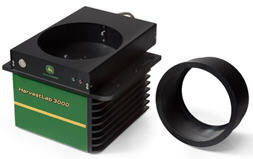 Developed and patented with Carl-Zeiss, the HarvestLab™ 3000 sensor simultaneously measures the dry matter and various constituents of harvested crops. The HarvestLab 3000 uses the same near-infrared-reflectance (NIR) technology entrusted and used by most nutrition labs, but produces results instantly and with over 4000 readings per second. This provides producers with not simply one random sample value but statistically solid data on the go. HarvestLab™ 3000 sensor provides on-the-go yield, moisture and constituents data when used in conjunction with the Harvest Monitor™ system. This instantaneous information can then be recorded and documented by using the Harvest Doc™ mapping system and a StarFire™ 6000 Receiver. Each operation is unique, but in general, silage harvested in a matter of days is expected to feed herds the entire year or be sold throughout the year. Considering harvest conditions are never perfect and feed quality never improves after harvest or during storage, effective management and the ability to react quickly and efficiently becomes paramount. The HarvestLab 3000 sensor allows producers to make informed management decisions at harvest and during storage in order to maximize silage and feed quality from the day it is harvested to the day it is fed or sold. For further information regarding the constituents, see the John Deere Constituent Sensing sales manual. Data recorded with the HarvestLab™ 3000 sensor on the forage harvester can be sent wirelessly to the John Deere Operations Center. Data is available to view in Field Analyzer after a field has been completed and new work has started, or approximately one half hour after field work has been stopped. 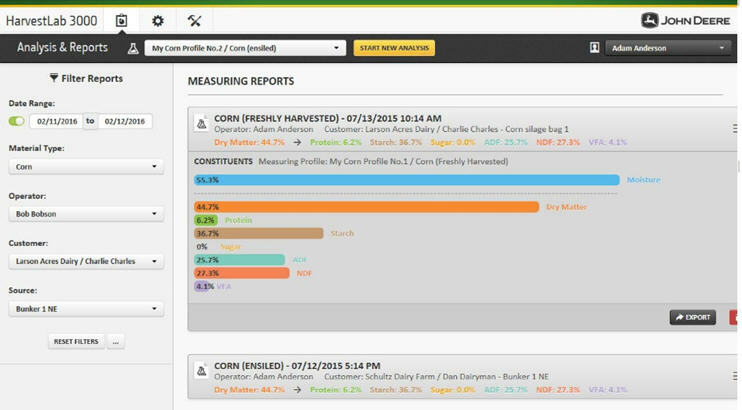 Producers can analyze data from completed fields or view where field work is in process, making it easier for them to make operational decisions. Data is available for analysis from any internet-connected device to make important production decisions and gives operations the ability to invoice work recently completed. 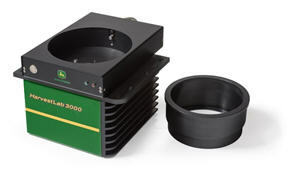 Easily connect the HarvestLab 3000 sensor with the HarvestLab 3000 stationary kit. 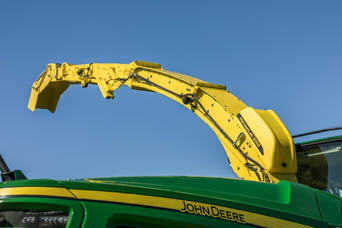 The sensor can be removed from a forage harvester or manure tanker in a matter of minutes. 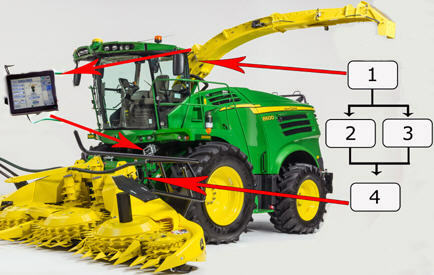 The stationary kit offers a practical and easy-to-use solution to measure forage quality away from the John Deere self-propelled forage harvester. Operate the stationary application using the intuitive web-user interface, including improved measurements procedure with detailed step-by-step explanations. Store measurements or export them in the CSV format. Save up to 5 percent fuel while increasing throughput leveraging AutoLoc. AutoLoc, a feature exclusive to John Deere, brings added value to the HarvestLab moisture sensor and John Deere self-propelled forage harvester (SPFH). 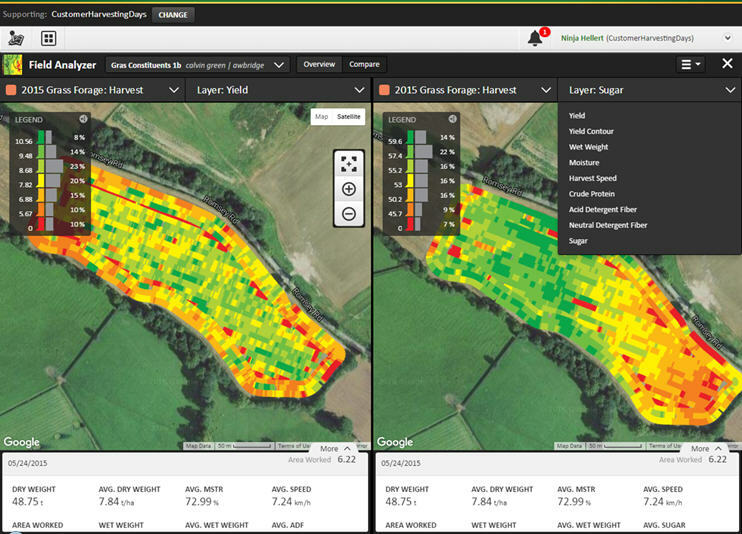 AutoLoc works in conjunction with the HarvestLab 3000 sensor and IVLOC to automatically adjust the length of cut based on crop-moisture levels to improve bunk density. Nutritionists, herdsmen, and SPFH operators will all benefit from this innovation. John Deere is leading the industry in providing real-time information that matters most to forage production. Quality forage comes from properly packed silage, which is directly related to the moisture content and length of cut of the crop. Length-of-cut changes are made automatically in the field based on moisture readings and predetermined settings determined by operator requirements. No in-field calibration is required to load the length-of-cut (LOC) requirements; the operator simply uses the GreenStar™ display to program the desired LOC settings at different moisture levels. When moisture levels of crop in the field change, the hydrostatic IVLOC feedroll drive automatically responds to either an increase or decrease the feedroll speed, which in turn changes the LOC. 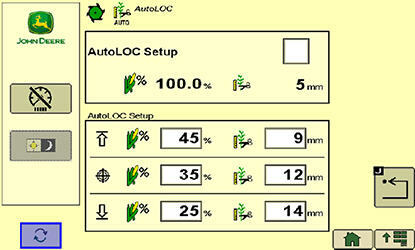 If moisture levels of the crop are outside of the desired range, IVLOC adjusts and limits the LOC, based on the maximum and minimum LOC settings, as determined by the operator.